The boys and the girls. All the pups together. 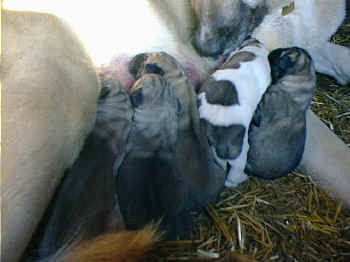 Puppies within hours of birth. 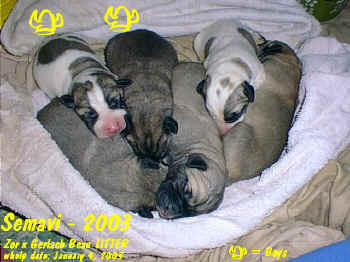 Their first day with Zor tending them. They were born in one of the dog houses despite our plans to whelp them indoors!